While attending the Oakland School for the Arts, she starred as a young Ti Moune in “Once on This Island” at the Berkley Playhouse and the breakout role of the male character Joe in “Caroline, or Change” at Palo Alto’s TheaterWorks. She also studied her craft at the CalShakes Conservatory program and at the American Conservatory Theater. Her other stage credits include “Richard III,” “Twelfth Night,” “As You Like It,” among others. 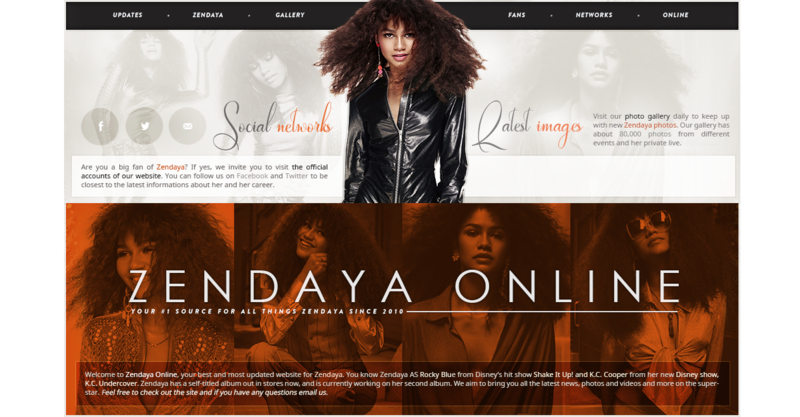 Zendaya, which means “to give thanks” in Shona (a Bantu language native to the Shona people of Zimbabwe), was a fashion model for Macy’s, Mervyns and Old Navy. She was also one of the back-up dancers in a Sears commercial featuring Disney Channel star Selena Gomez.